PLANS remain modest with Double Encounter despite his impressive form this campaign. 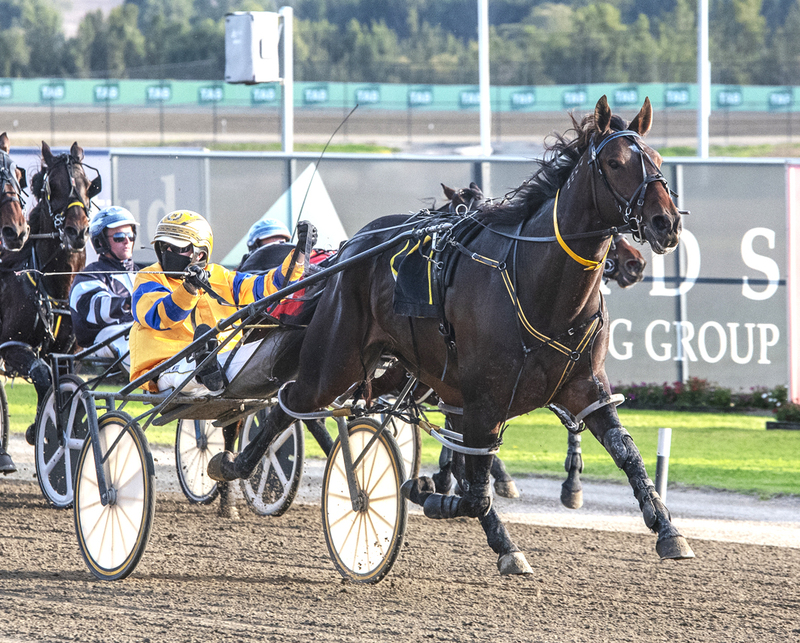 Winner of his last two starts, including at Tabcorp Park Menangle yesterday, Double Encounter will continue to be taken along slowly by trainer Harry Martin. Citing maturity as the key to the five-year-old’s ‘purple patch’, Martin believes easing Double Encounter though the grades is the best option. “He has hit a purple patch at the moment and I hope it keeps up,” Martin said. “I see no reason why it can’t. “He wasn’t much good at two and kept improving as he got older, so I felt he would be better again this time in. With Stephanie Lippiatt holding the reins, Double Encounter was promptly angled away from the pegs from his inside of the back row draw to settle midfield as Wrangler worked to the lead. Four-wide at the top of the home straight the son of Village Jasper sprinted to a two-and-a-half metre victory from My Harmony Blue, with Im The Director a metre-and-a-half away third. “I was reasonably confident with him before the race as he is in strong form and been working well,” Martin said. APG purchase a mistake, luck or fate?